Kautschuk Gesellschaft Group collects your information in order to record your interest in our products. Kautschuk Gesellschaft Group recognizes and appreciates the importance of responsible use of information collected on this site. Without your consent, Kautschuk Gesellschaft Group will not provide your name to other companies or organizations. There are other instances in which Kautschuk Gesellschaft Group may divulge your personal information. 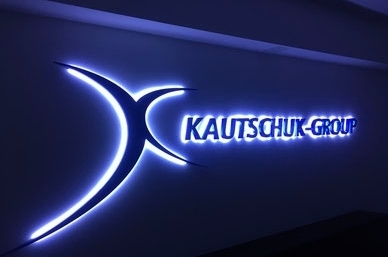 Kautschuk Gesellschaft Group may provide your personal information if necessary to comply with laws or regulations of a governmental or regulatory body or in response to a valid subpoena, warrant, or order or to protect the rights of Kautschuk Gesellschaft Group or others. We use a "cookie" to track your access to our product sheets. A cookie is a small amount of data that is transferred to your browser by a web server and can only be read by the server that gave it to you. It functions as your identification card, and enables Kautschuk Gesellschaft mbH to recognize you, so that in order to access our product sheets on subsequent visits, you do not have to fill in your personal information again. Most browsers are initially set to accept cookies. You can set your browser to notify you when you receive a cookie, giving you the chance to decide whether to accept it. To avoid having to fill in your personal information again and again, every time you want to access our product sheets, you should accept our cookie. You may access and correct your personal information by sending an email to info@kautschuk.com. Please include your name, address, and/or e-mail address when you contact us. No specific form is required to notify Kautschuk Gesellschaft Group of changes to your personal information. This site contains links to other websites and resources which are not necessarily endorsed by or under control of Kautschuk Group or any of its companies. Visit these sites at your own discretion.